Searching for the perfect gifts for dog lovers? Finding a gift that recognizes Fido will be especially welcomed by a doting owner. 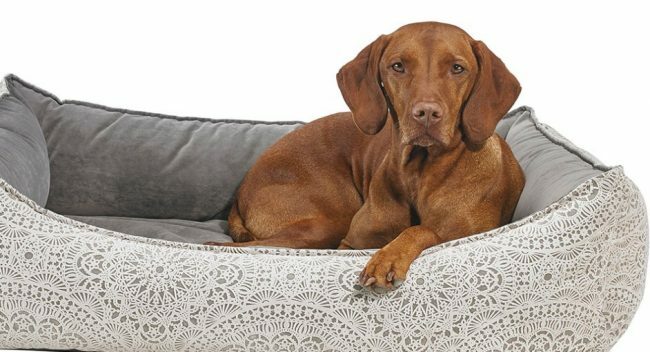 If you’re not sure where to begin, look no further – our friends at ourdogfriends.org have found the best choices for all of the dog lovers and their pets on your gift list. 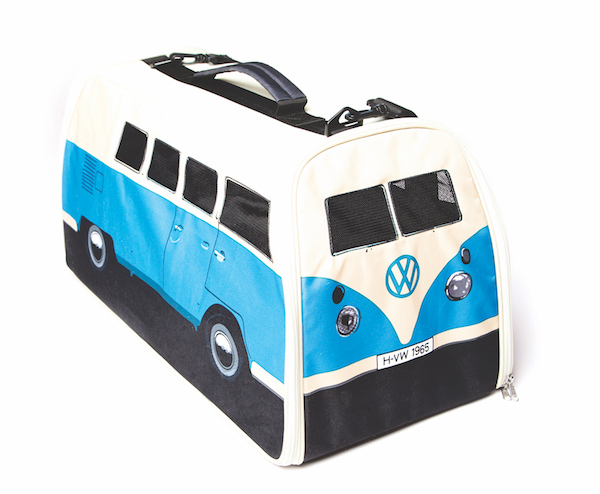 Small dogs can go mobile and be ultra-hip in a carrier designed to look like a vintage VW van. Recommended by experts, this groovy accessory keeps dogs comfortable with a supported bottom and vented sides. Available from TheMonsterFactoryUSA.com. 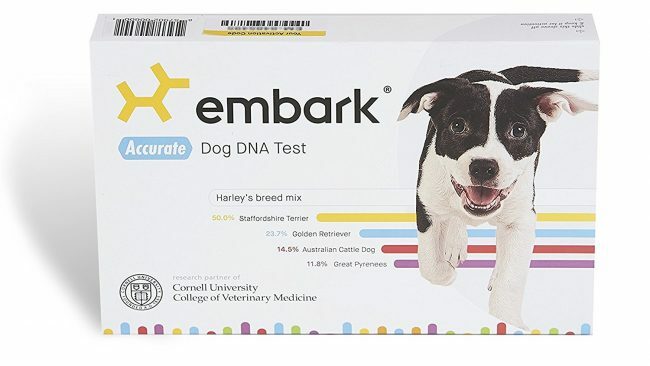 For the precious pooch with an unknown pedigree, the Embark Dog DNA Test Kit offers breed identification and ancestry results, along with an evaluation of markers for over 160 genetic diseases. Whether an owner is just curious about heritage or searching for health concerns, with the trending interest toward genetic testing it’s sure to be a hit. Available from Amazon.com. Looking for a custom, ultra-unique present? 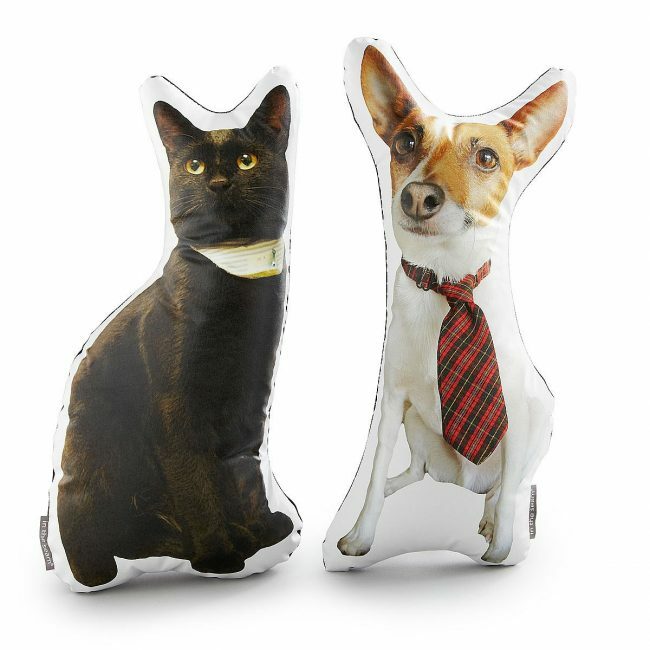 Redfin suggests snapping a photo of your loved one’s pooch to give this oh-so-personal pillow! Owners can enjoy bringing their dog along anywhere they go, whether to the “forbidden” couch, off to run errands or snuggling in bed. It’s a fab way for a pet lover who travels a lot to take Fido along for comfort, or even just enjoy a memento at the office. Available from UncommonGoods.com. 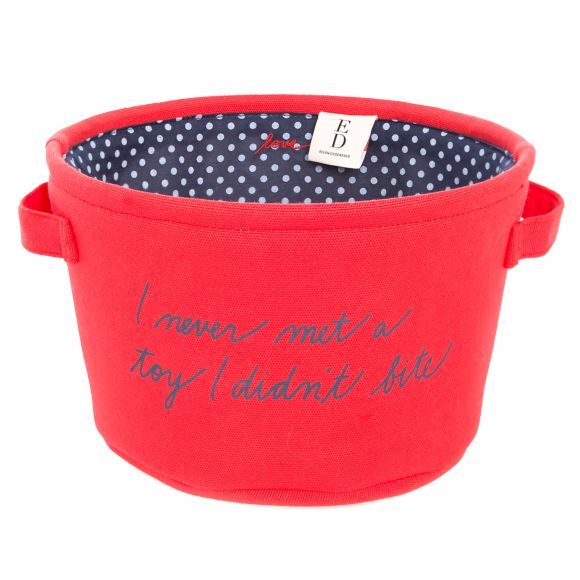 For dogs with a generous toy supply and no good place to store it all, try the ED Ellen Degeneres Toy Bin. This attractive bin is practical and keeps Fido organized. Bright red with a navy polka dot liner and functional handles for carrying, this bin is available from PetSmart.com. Adorable, soft, and built to take a beating, Modern Dog Magazine suggests snagging a stuffed bird toy for a beloved pooch’s present. 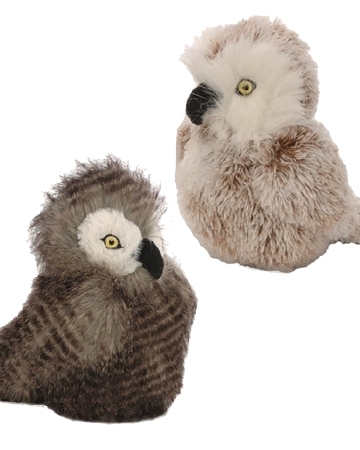 Available in hoot and screech owl styles or as roosters or hens, these GoDog Birds are plush on the outside with rugged balls on the inside. Available from GoDogPlush.com. 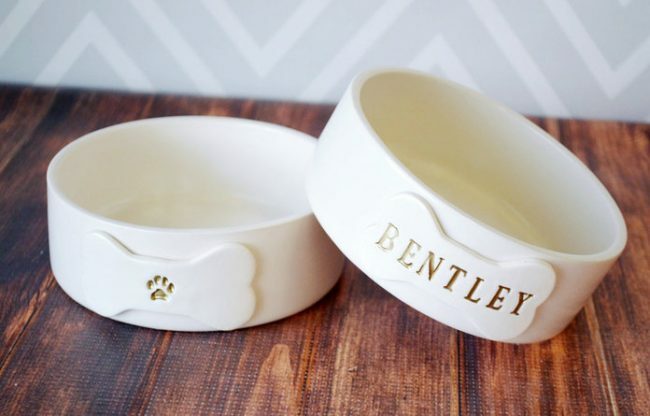 Chic and stylish, what could be finer than personalized bowls for a pooch’s refreshment? Professionals recommend handmade ceramic bowls in an attractive ivory with a raised bone and embossed gold paw print on the side. Available from Susabellas at Etsy.com. 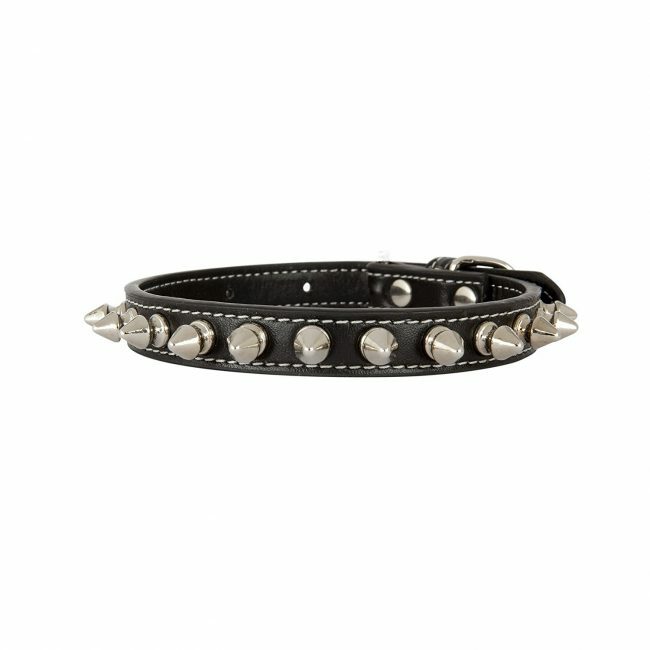 A classic, edgy look for the dog in touch with his or her rebellious side, the LazyBonezz Spike Chrome Studded Adjustable Dog Collar comes in three colors and several sizes. Available from Amazon.com. Most folks who love dogs are enamoured with their antics, so a book that captures the essence of dogs and their quirky, warm and personable shenanigans is sure to be a winner. 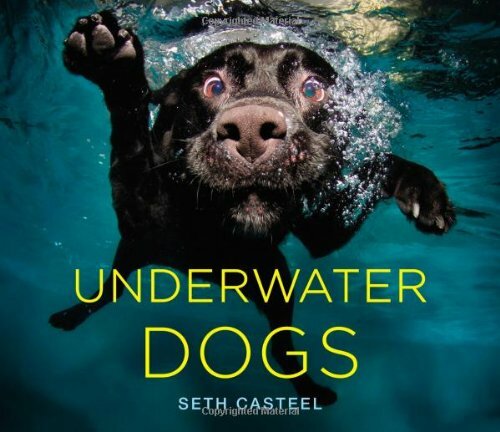 Wired suggests “Underwater Dogs” by Seth Casteel, a collection of entertaining photos nabbing dogs fully submerged and in action. Available from Amazon.com. 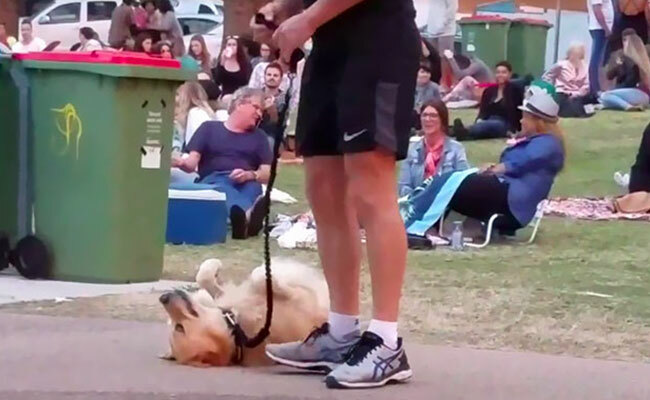 Dogs tend to spend a significant amount of time lounging. What could be better than a comfy place to enjoy doggy downtime? Try an Urban Lounger Dog Bed. These supportive and attractive beds offer orthopedic support and numerous fabric options to match to your decor. Available from Bowsers.com. What do you get the dog (and dog owner) who already has everything? Try an attractive teepee. 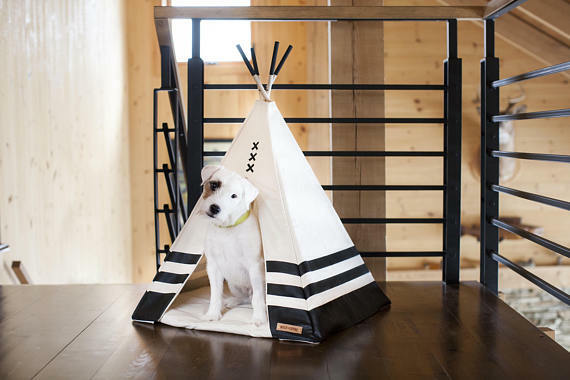 Simple, stylish and surprisingly sleek, the pet teepee is available in two sizes and constructed of handsomely striped canvas to look good with a wide range of home decor styles. Available from wildandloyalshop at Etsy.com. 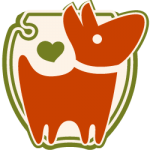 You can’t go wrong by remembering the dog lovers in your life and their beloved pooch. Those who love their dogs consider them part of the family, so give a gift with the canine in mind. Your giftees will be grateful you remembered them and their furry family members!